Ansbacher, a national service volunteer, was laid to rest Friday in her native Tekoa, with the alleged perpetrator, Arafat Afariah, 29 of Hebron, arrested by Israeli authorities early Saturday with the help of evidence collected at the crime scene. Hundreds turned out for the funeral, with her bereaved mother, Ne’eh Ansbacher, beset by pain, speaking further to the media on Saturday night, against the backdrop of vigils and protests against terror in Jerusalem’s Zion Square and Tel Aviv’s Rabin Square. What Can I Do to Help Our Brothers and Sisters in Israel? According to news reports, the suspect, who had been arrested twice in the past and had served time in Israel’s Ofer Prison, was apprehended by Israeli special forces in a mosque in Al Bireh, a village near Ramallah. He has reportedly confessed to the crime, leading investigators to the scene on Sunday to re-enact the murder. 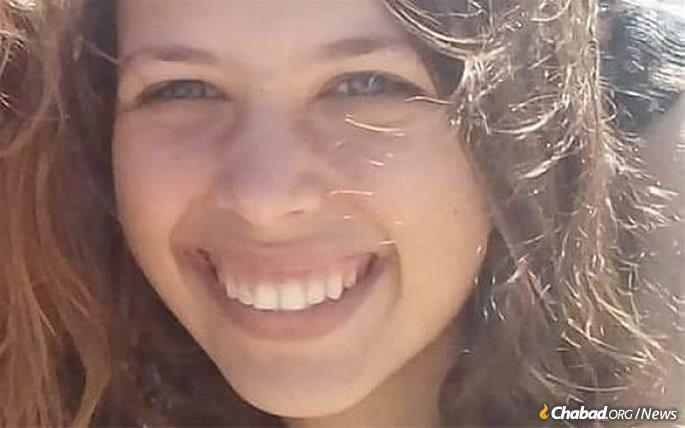 According to the Shin Bet, Israel’s internal security service, the perpetrator left with a knife heading towards the village of Beit Jala near Ramallah on Thursday morning and headed into the Ein Yael forest, where he saw Ansbacher, stabbing her multiple times and killing her. Though terror is suspected, a motive had not been established conclusively. A gag order is in place prohibiting dissemination of further details of the case. Ansbacher had headed from her workplace at the Yeelim youth center into the forest for a short walk on Thursday morning to collect herself, according to friends. Her body was discovered late Thursday evening. Israeli Prime Minister Benjamin Netanyahu thanked the security forces for their quick work and extended his condolences to the family. In response to the grisly crime, ministers and lawmakers are calling for harder-line measures to be taken against the Palestinian Authority and convicted terrorists, with Justice Minister Ayelet Shaked and other ministers calling on prosecutors for the death penalty in this case. Protesters in Tel Aviv on Saturday night called for the same. Although capital punishment is on the Israeli law books for use in certain extreme cases, it has only been used once—the 1962 hanging of Nazi officer and major Holocaust organizer Adolf Eichmann. Eichmann was captured in Argentina in 1960 by the Israeli intelligence agency, Mossad, and sentenced to death by a Jerusalem court in a highly publicized proceeding. Meanwhile, Education Minister Naftali Bennett is calling for the implementation of legislation that would cut funds to the Palestinian Authority by the amount that is paid out to convicted terrorists and the families of Palestinians killed while carrying out attacks.